Austin Bakes for Harvey was a huge success, raising over $20,000 for Americares! We’re pleased as pie with the huge outpouring of support for those impacted by Harvey, but we’re also saddened that countless others in Puerto Rico, Mexico, Virgin Islands, California, and other parts of the world suffered devastating losses in other natural disasters. So, we’re at it again. 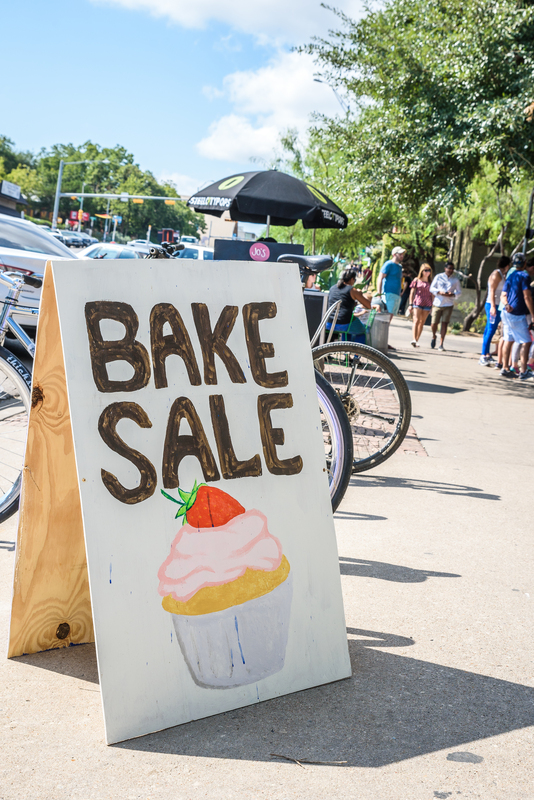 Austin Bakes for Disaster Relief is a city-wide bake sale fundraiser scheduled for Saturday, November 4. This time, we’re raising funds for Direct Relief, a humanitarian organization that provides emergency response and healthcare assistance programs to those impacted by emergencies or poverty. Our goal is to raise $10,000 for Direct Relief’s vital work, and we need your help to make that happen! Sign up to bake goodies for the bake sale or volunteer to help at one of the locations below. Remember that while cookies, pies and other desserts are always crowd-pleasers, we welcome whatever homemade goodies you can contribute, whether it’s sweet, savory or anything in between. 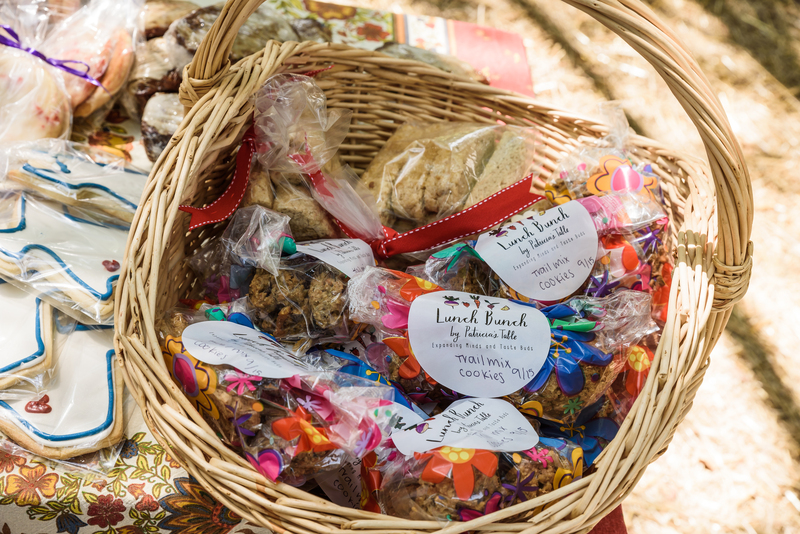 Vegan or allergen-friendly items are encouraged so that everyone can find something they want to buy! Spread the word on social media through our event on Facebook (invite your friends and send a personal message if you can), our tweets, or our Instagram posts (Or go for a trifecta and share all three!). Do you have a blog, Twitter handle, or Facebook page where local Austin folks flock? Are you a Snapchat celeb? An Instagram guru? A podcast host? Please share this event with your followers! Contact us if you’re interested in sponsorship or providing a bake sale location. Learn more on our partners page. We are also having a pre-sale for Austin Bakes t-shirts going on. Until October 21, you can order an Austin Bakes shirt from our Ink to the People shop without paying for shipping! 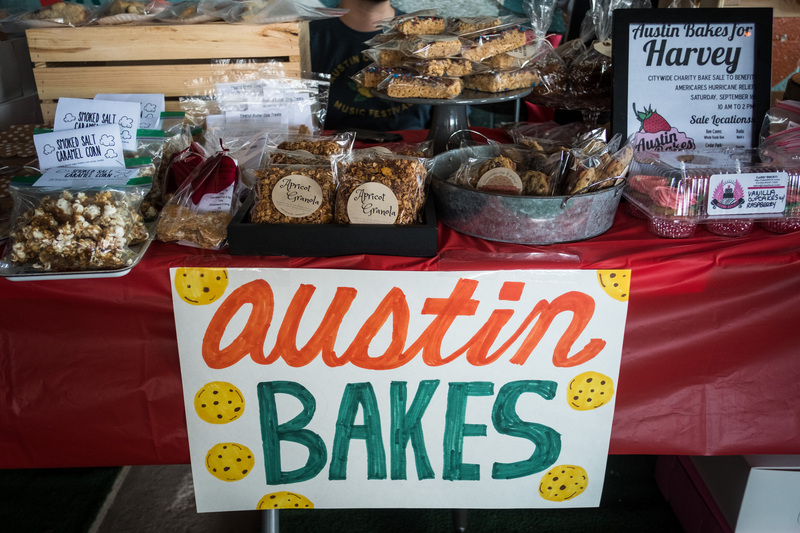 Just order your shirt from our special Pre-Sale page and pick it up at your preferred Austin Bakes sale location.